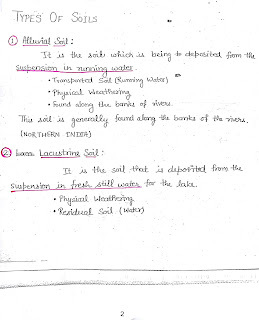 1.ALLUVIAL SOIL: Soil deposited from suspension in running water. 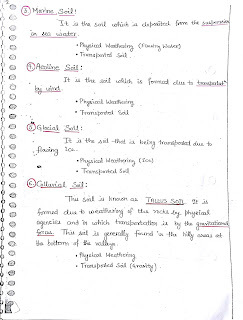 2.COLLUVIAL SOIL: It is formed due to gravitation force in the valley of mountain. It is also known as Talus. 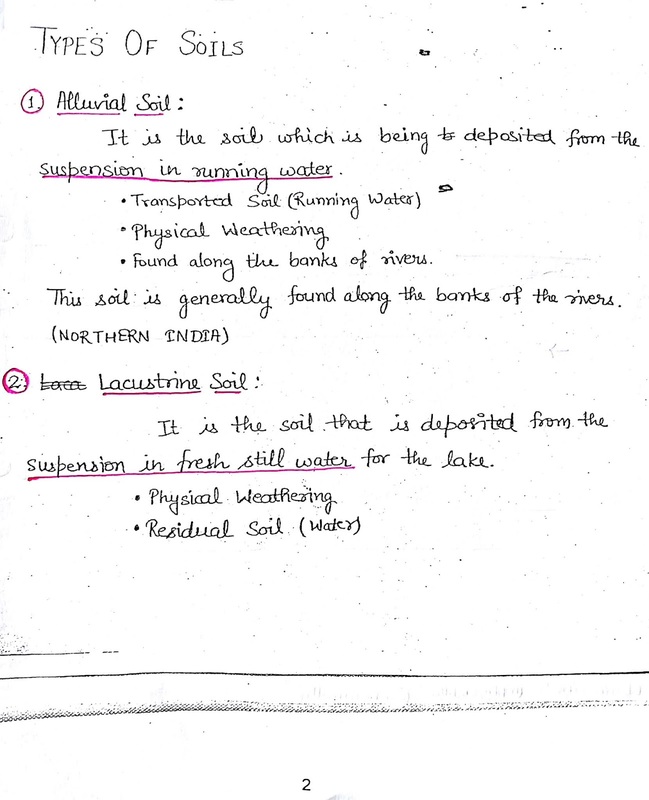 3.LACUSTRINE SOIL: Soil that deposited from fresh still water(lake). 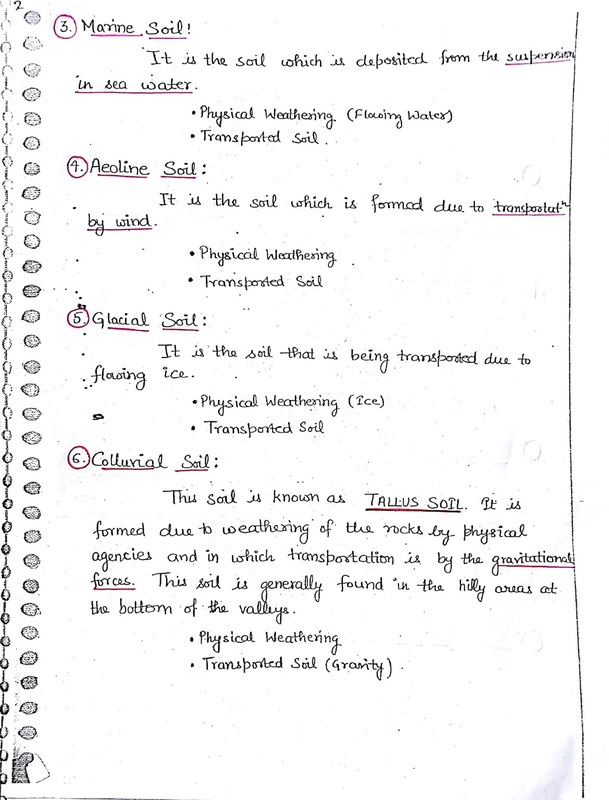 4.AEOLINE SOIL: Soil that is formed due to transportation by wind. 6.LOESS SOIL: It is uniformly graded wind blown silt that is slightly cemented due to calcium compounds and montmorrilonite. 7.GUMBO SOIL:is sticky,highly plastic and dark in colour. Ecessive presence of Montmorrilonite. 8.PEAT SOIL:It is highly organic soil that almost entirely consists of vegetative matter in different stages of decomposition. 10.TUFF SOIL: It is finely graded slightly cemented volcanic ash which may be transported either by water . 11.BENTONITE SOIL: It is chemically weathered volcanic ash that is generally used a lubricant in drilling. 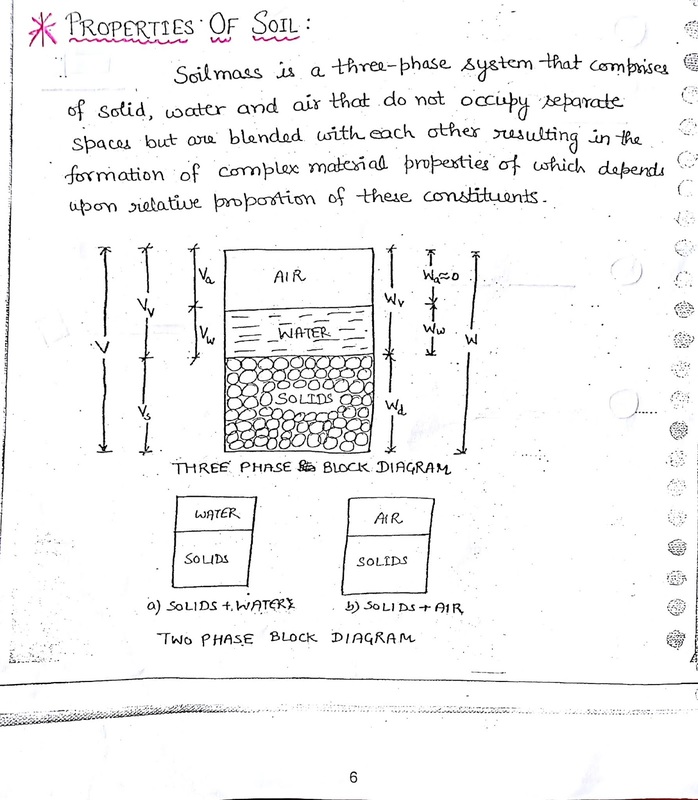 Soil mass is a three-phase system that comprises of solid,water and air that do not occupy separate spaces but are blended with each other resulting in the formation of complex material properties of which depends upon relative proportion of these constituents. 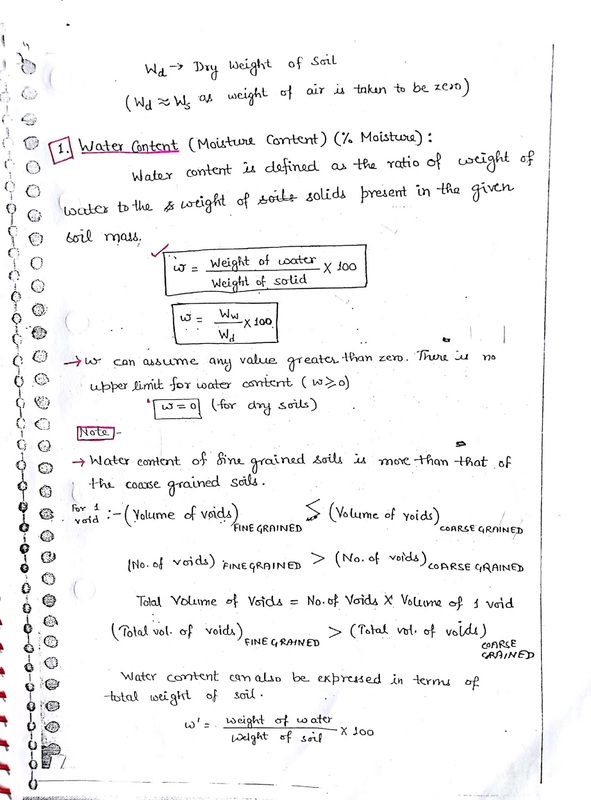 Water content is defined as the ratio of weight of water to the weight of solids present in the given soil mass. w can assume any value greater than zero. 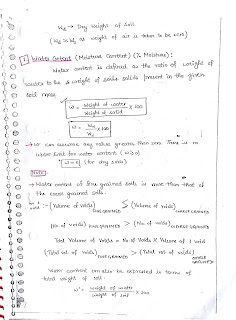 * water content of fine grained soils is more than that of the coarse grained soils. 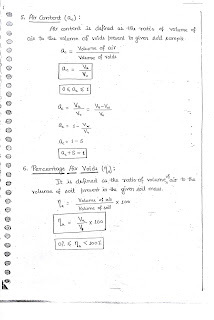 It is defined as the ratio of volume of voids to the volume of solids present in the given soil mass. 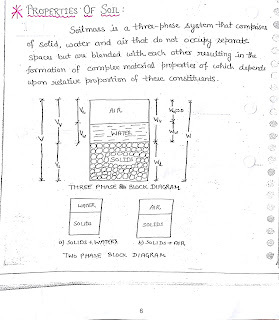 Porosity is defined as the ratio of volume of voids to the volume of soil of given mass. 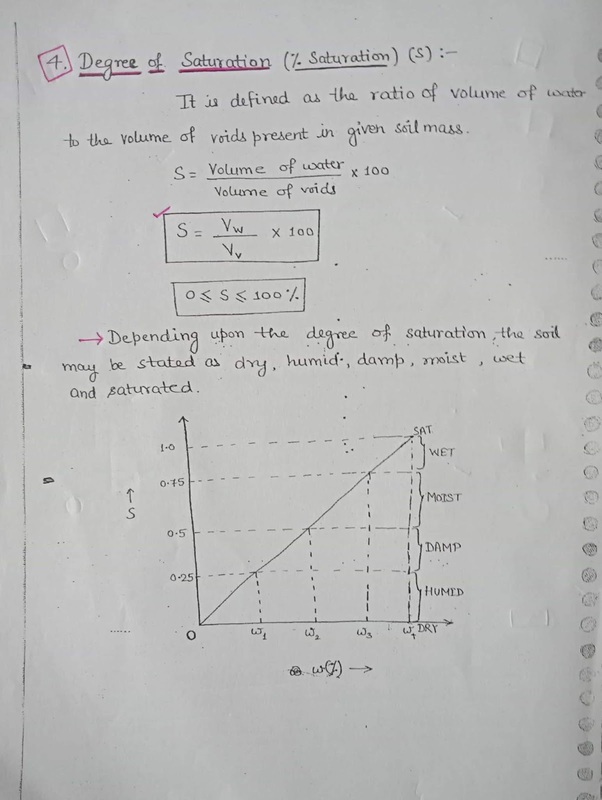 porosity & void ratio represents the vol. 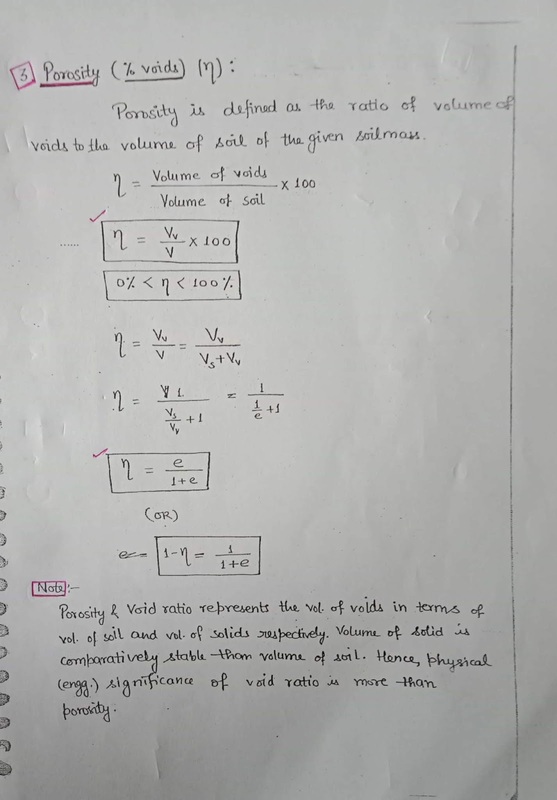 of voids in terms of vol. 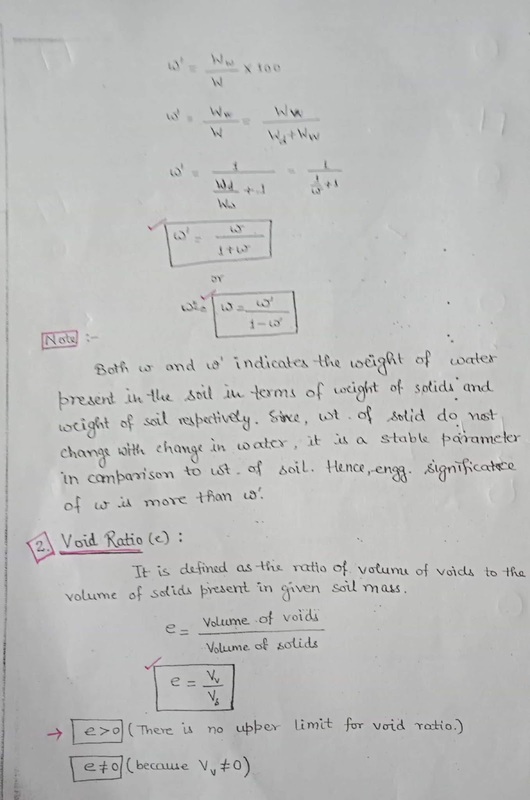 of soil and vol. of solids respectively. 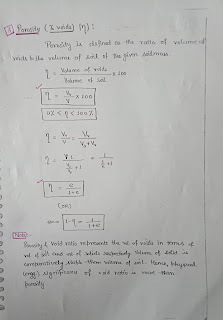 Volume of solid is comparatively stable than volume of soil. 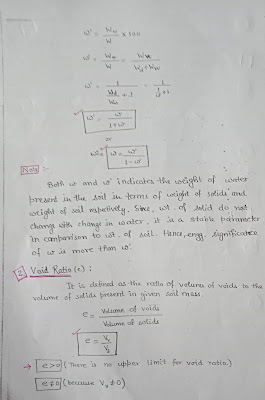 It is defined as the ratio of volume of water to the volume of voids present in the given soil mass. >Depending upon the degree of saturation the soil may stated as dry, humid, damp, moist, wet and saturated. 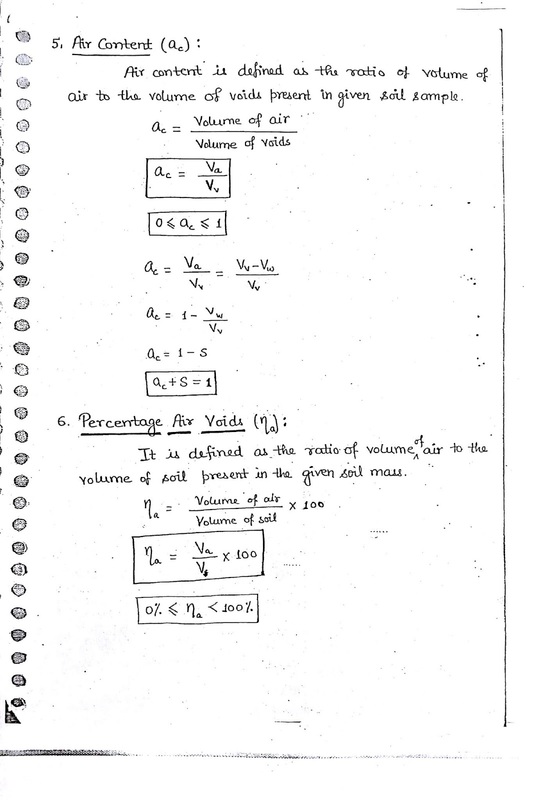 Air content is defined as the ratio of volume of air to the volume of voids present in given in given soil sample. 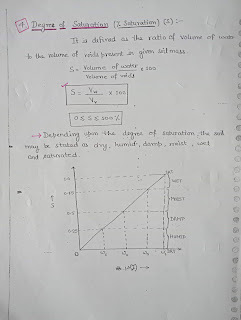 It is defined as the ratio of volume of air to the volume of present in the given soil mass.